Check out this guide for a full walkthrough of the One Of Us Quest from Fallout 76, including gameplay tips, guides, & more! The Whitespring Bunker is located a short walk from the Whitespring Resort. It is West of Solomon's Pond, and can be accessed via the metal gate. Standing in front of the camera will prompt you to activate it. This will take your picture. To get your photo, activate the dispenser near the camera. 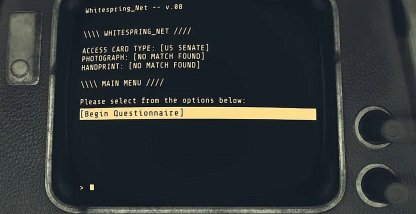 The Questionnaire does not have any bearing on whether or not you will be able to join the enclave. Just answer the questionnaire as best as you can before turning it in to MODUS. Sugar Grove is located on the Eastern part of the map. It can be found Northeast of the National Isolated Radio Array. Sugar Grove is full of robotic enemies. These include, Protectrons, Turrets, Gutsys, and a high level Assaultron. 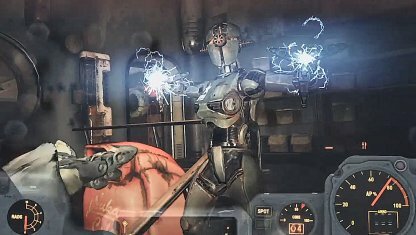 Equip some Power Armor to increase your damage resistance to energy weapons! 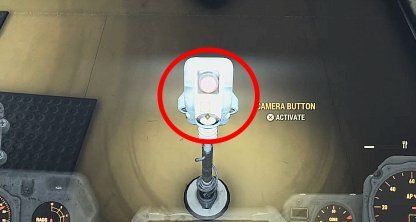 The Assaultron will be able to deal a lot of damage, so it is best to use chems to increase your resistance. 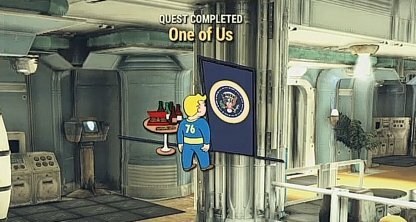 It would also be good to equip a melee weapon as the Assaultron is agile and it is hard to aim at it. The NRARC is found East of the National Isolated Radio Array. 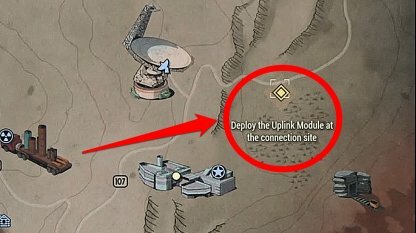 You will be able to deploy the uplink on the roof of the building. You will need to go inside the building to access the roof. 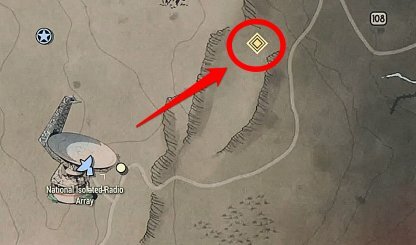 There are a few low level Scorched enemies in the location. 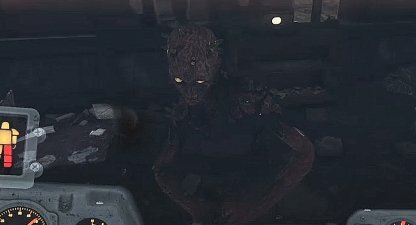 There are not enough enemies for them to be able to overrun you, but it would be best to take a few healing items just to be safe. You will get a unique weapon when you complete the One of Us quest! 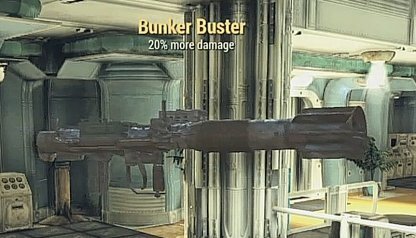 The Bunker Buster is a unique missile launcher that does an additional 20% damage on top of its already high damage!